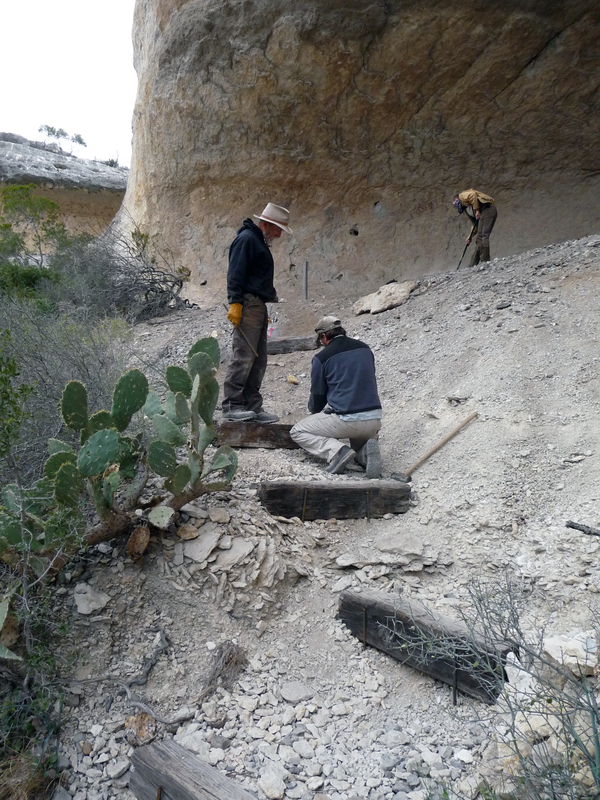 As the end of January (and our fourth week of excavations) rapidly approaches, it seems appropriate to give an update of our overall progress with the Ancient Southwest Texas Project. When Dan Rodriguez began excavations in Skiles last June, he encountered a thick flood deposit in both of his 1 x 1 meter units. This was very exciting because it suggested that any archaeology beneath the thick Rio Grande flood-mud could be intact and undisturbed. 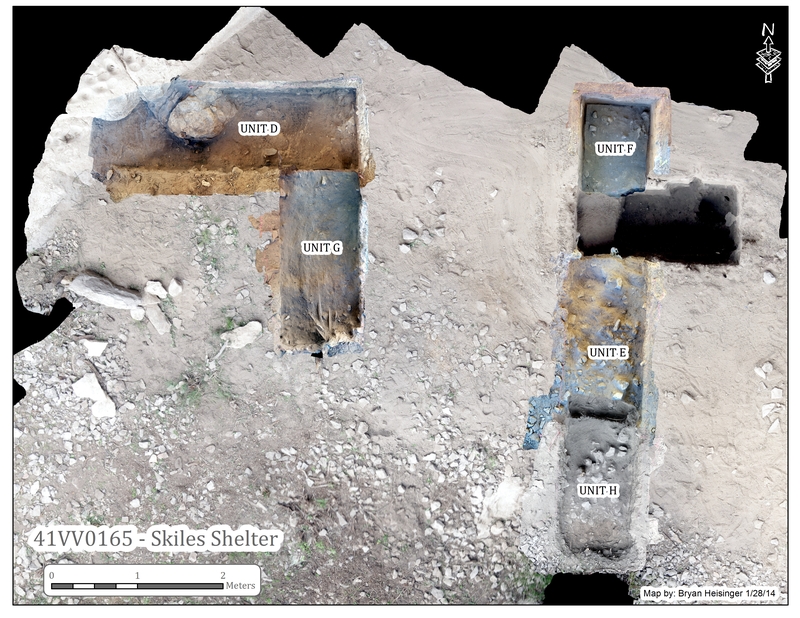 So, four weeks ago we began to expand on Rodriguez’s two units to address two main research questions: 1) what is the depositional history (both natural and cultural) within Skiles Shelter and 2) how much earth oven plant processing is represented by the substantial burned rock midden talus at the site. In order to get an idea of the depositional history of the site, we have opened five new units (bringing the total to seven units in Skiles), and have excavated multiple layers within each unit. For those unfamiliar with archaeology this may not sound terribly impressive considering we have spent almost an entire month in the field, but when taking into account all of the paperwork/photography/lab work accompanying each unit and layer we have made significant progress. We have also produced 3D models of each unit/layer that has been excavated, deriving these images from a series of overlapping photos. These models are far more detailed than any scaled drawing of a unit or profile could ever be, so our techniques are essentially revolutionizing traditional archaeological methods. We are also transitioning from recording our progress on paper field forms to using both tablets and laptops for digital recording. How many archaeologists does it take to supervise one crew member? No formal analysis of the artifacts collected from these units has been conducted, so my observations of what we have learned from the site thus far are not necessarily profound, but I can tell you a couple interesting things. The large flood deposit appears to overlay an earth oven facility (aka, burned rock midden or BRM) where indigenous peoples used earth ovens to process plants like lechuguilla and sotol. Where we have exposed the flood deposit and the BRM layer, it appears the BRM was higher in elevation toward the drip line of the shelter, which caused the flood to deposit sediment in a thicker layer toward the back wall of the shelter. As of this moment we have collected several diagnostic projectile points, but have only exposed the top of the BRM and have not received any radiocarbon dates, so we do not know much more about the site. Variety of dart and arrow points recovered from Skiles Shelter. 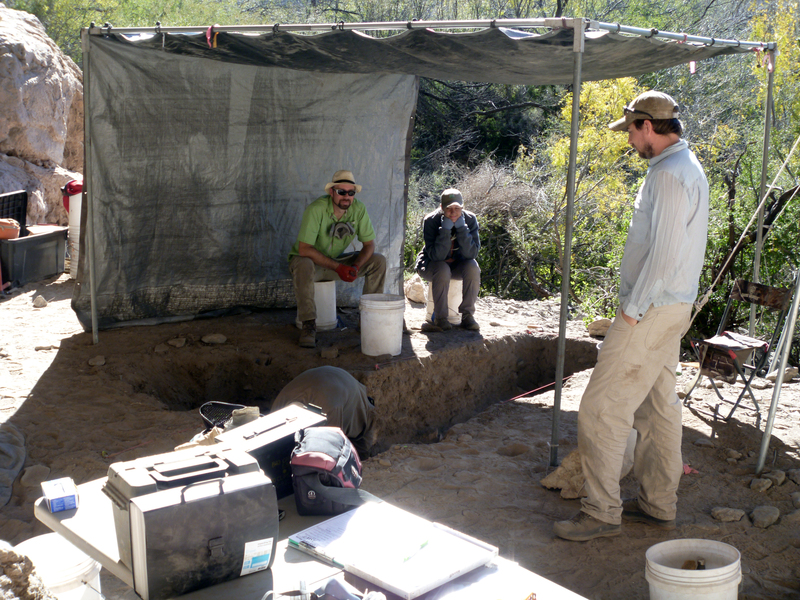 We have recently begun switching gears so to speak, and are beginning preparations for our Eagle Cave excavation. We have spent the last couple days stabilizing trails into the site to help protect it. Tomorrow we will begin laying down rubber matting on trails inside the shelter to help keep down the dust and prevent potential damage by visitor traffic. Last week when we did the Pole Aerial Photography of Eagle Cave and established our datums from which we will calculate our elevations, northings, and eastings (necessary for site mapping). We are also addressing logistical issues that we anticipate arising once we break ground at the site, but I won’t go into detail about that. Crew building trails in Eagle Cave. 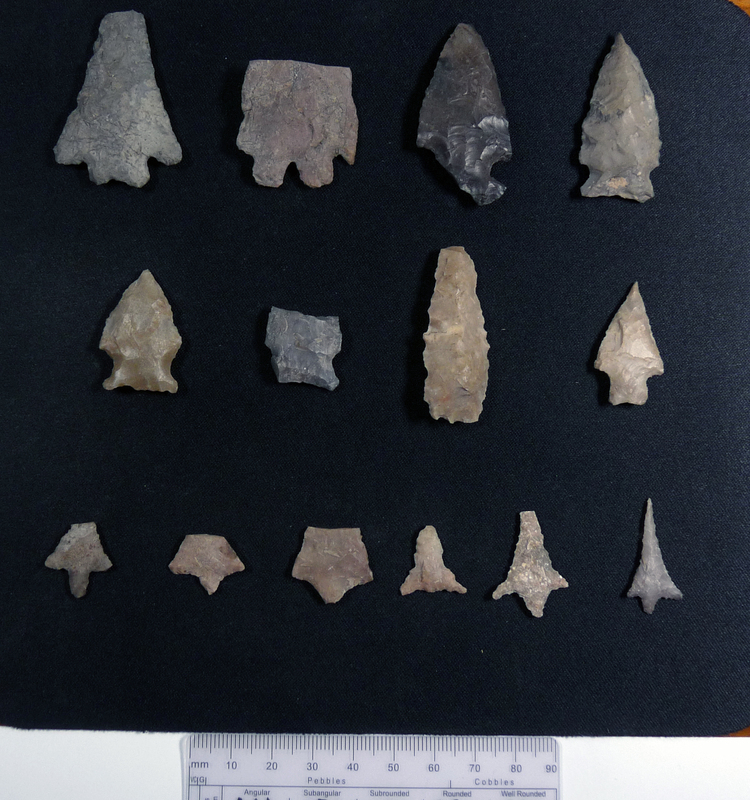 In addition to field work at Eagle Cave we have been preparing in another way by spending some of our free time reading over the previous excavation reports on the site. The first is on excavations carried out in the 1930s by the Witte Museum, and the second discusses excavations conducted by the University of Texas in the 1960s as part of a salvage project related to the creation of the Amistad Reservoir. I have particularly enjoyed looking at the photos from these excavations. The scenery stays the same through time, but so much about the people (and excavation methods) has changed! All of that being said, we are four weeks in, our enthusiasm is still high, and nobody has lost an arm or a leg yet. So I would call our first month in the Lower Pecos a success! This entry was posted in Spring ENC 2014 Posts. Bookmark the permalink. 2017 ENC Expedition:… on Archaeoentomology?